In her music as in other aspects of her life, Roxane is ready for anything, guided by her curiosity and her sensibility to beauty in all of it’s forms. A hard worker, she has aquired over the years a solid musical t in keyboards and singing. She started formally studying jazz at the Cégep de Sherbrooke and continued at the University du Québec à Montréal (UQAM) . There, she studied keyboards with Pierre Bélisle ( La Bottine Souriante) and jazz piano with Julie Lamontagne (Belle et Bum).A recognized artist in the Eastern Townships of Québec, Roxane has colaborated with several artists, poets and musical groups. 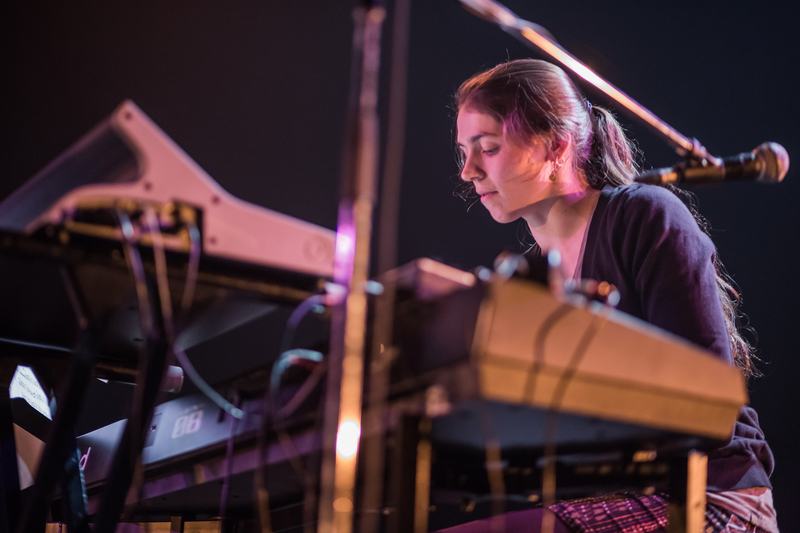 Since 2008, her playing and composing has evolved with the jazz influenced group Tangara. Among others, she has also composed for and played with slammer David Goudreault, composed and played the music for the « Hommage à Jovette Marchessault »show (Centre d’Art de Richmond 2013), and can be heard playing with the festive band « Les voyageurs Nus ». She enthusiastically joined the group «MAZ» in January 2016. Roxane has embraced this new musical adventure with her vigor and curiosity. She has found her place playing non-traditional instruments (keyboards and synth) in this “TRAD” based universe, only too happy to be contributing while further evolving in this original format.